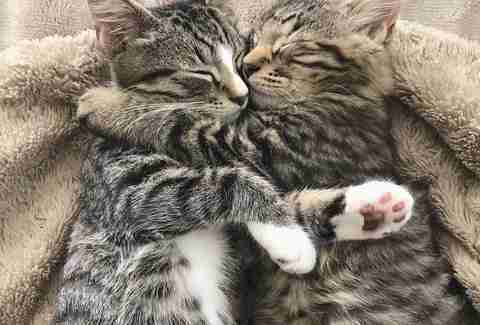 Marlow and Mittens were two tiny kittens found together as strays — but no one realized just how close they really were. 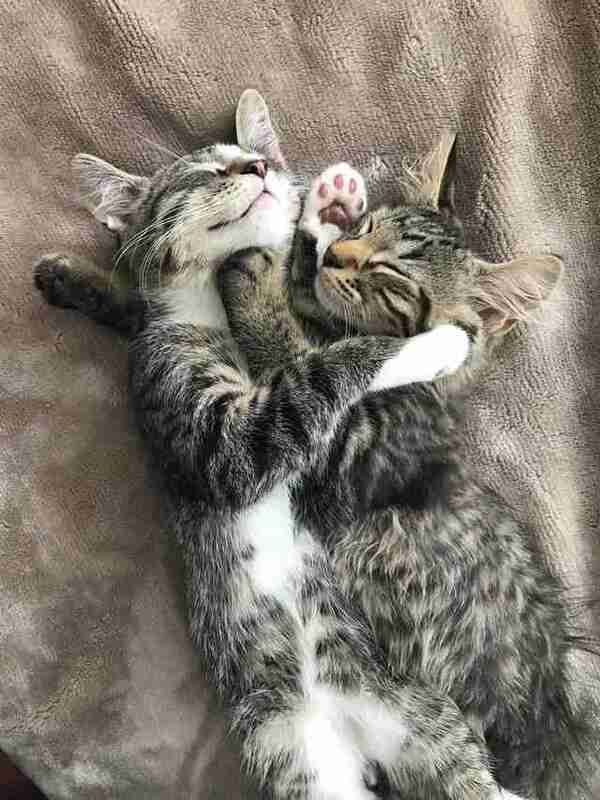 From the moment they arrived at the RSPCA’s shelter, staff could see that the pair were attached, but they decided they would have a better chance of finding forever homes if they posted about them separately and didn't require that they be adopted out together. 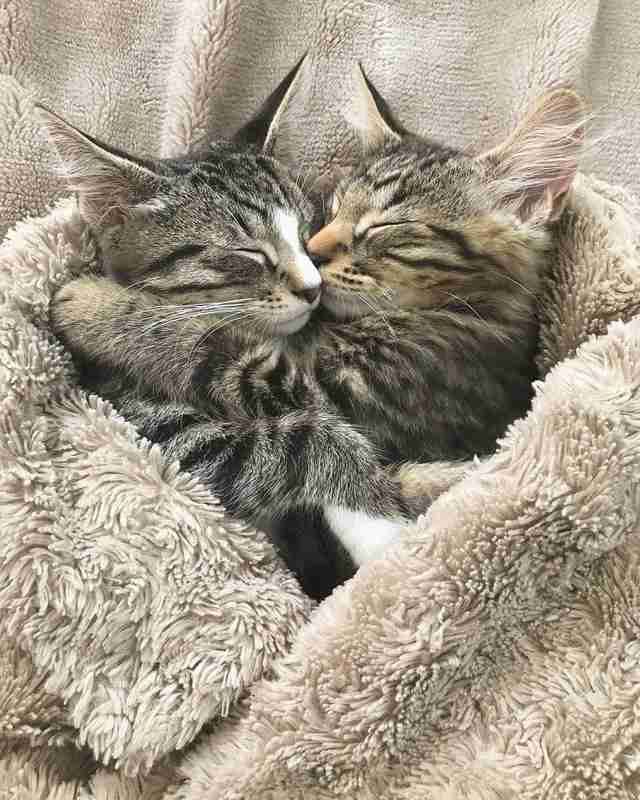 The sweet kitten brothers, however, had other plans. When Grace Serena and her partner saw Marlow’s face on the RSPCA’s website, they immediately knew he was the kitten for them and decided to go in to meet him. They had no idea that Marlow had a brother — but when the couple arrived, the little kittens quickly set a plan in motion to make sure they wouldn’t be separated. … and snuggled up to their new potential parents as well, essentially sealing the deal. 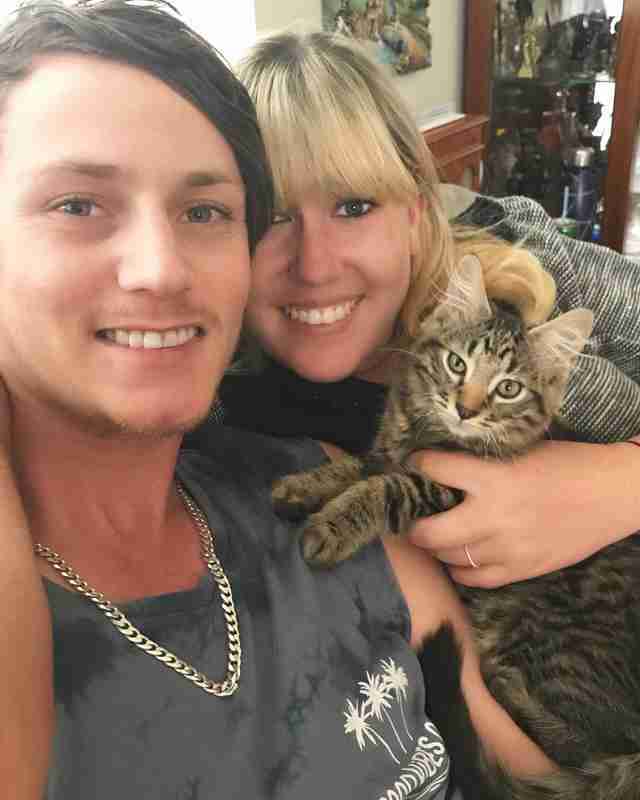 Initially, the couple had decided to adopt a kitten because Jake was going through a rough time emotionally. 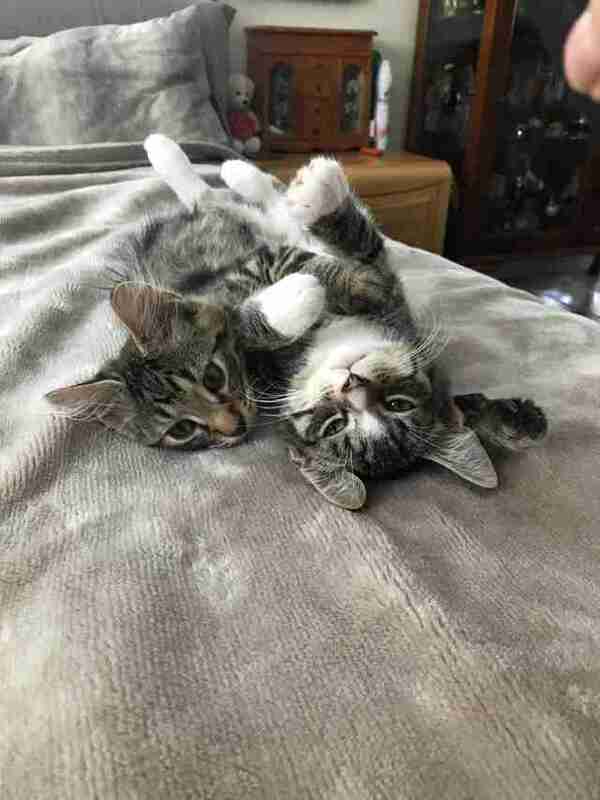 As soon as they met Marlow and Mittens, though, all reasoning evaporated, and all they could think about was getting the inseparable kittens out of the shelter, and giving them a place where they could cuddle together for the rest of their lives. “We almost forgot entirely about our initial reason for getting a new pet, and adopted them out of pure love and utter cuteness,” Serena said. … and decided to celebrate by cuddling, of course. 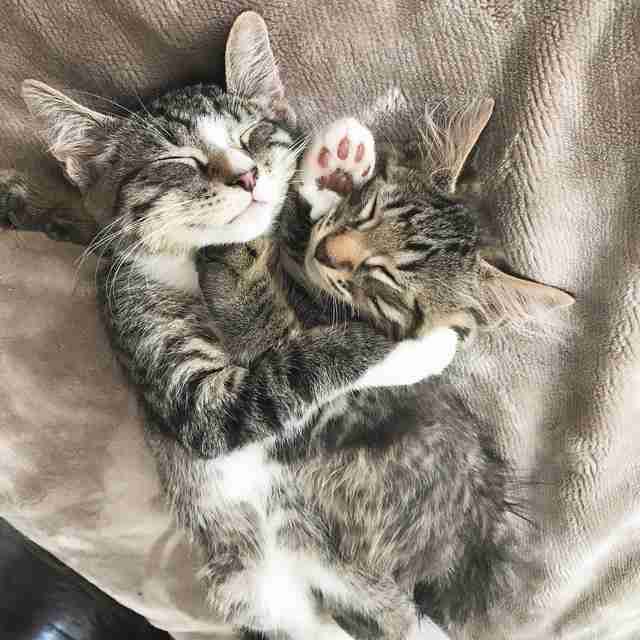 It’s been about a week since Marlow and Mittens arrived in their new home, and the new little family couldn’t be happier with how things worked out. 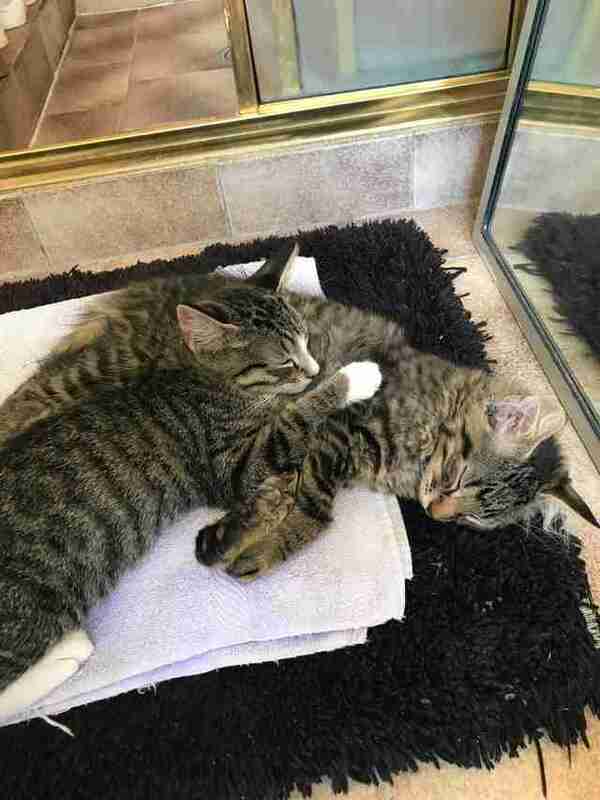 Even though the couple had only been planning on adopting one kitten, the sweet brothers quickly changed their minds, and everyone involved is so glad they did. Thinking about adopting? Then meet Dodo Adoptbot, an interactive guide for new pet parents. Get started on Facebook Messenger or text HOME to 38349.